Ricotta, you say… ricotta…. now you got me dreaming…. Lemon poppyseed is one of my all-time favorites. I can’t wait to try your cake. It looks delicious! I’ll be careful not to tip the bowl. Yes, be careful. I made a note to myself: no dancing while whisking. No dancing. 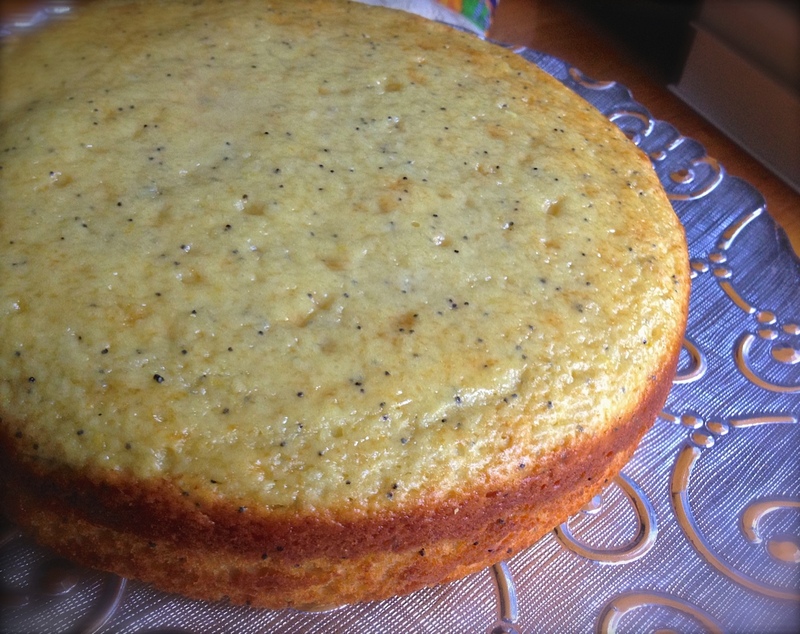 Lemon poppyseed is one of my favorite muffins, and i can’t imagine I wouldn’t love it translated into a cake! So lovely. Haha! I love this cake. The simple wonderful flavors sound amazing. I have everything right now and I’m looking for a relaxing bake so this is perfect!! Hope you ended up trying it – I somehow neglected to answer the comments to this post. Not sure what happened. Was I abducted by aliens? That gotta be it. This sounds *so* good Sally! I’ve always loved the combination of lemon and poppy seed and the glaze has got that pucker inducing appeal to it too ;-). What a great idea to add the creamy, delicious texture of yogurt… So simple too – heavenly. Our whole family would fall for this one! I think this cake will please anyone, but maybe I am too partial to lemons??? It is delicious! This sounds delicious. I may try my 6-cup bundt pan. I love the bundt look. @A_Boleyn would share your bundt cake recipe. Awesome!!!! Thanks for linking it! That would look great in a 6-cup Bundt pan, with a little powdered sugar on top… yes, yes, YESSSS! Yum! Lemon and poppyseeds, can’t go wrong! Don’t you agree? Match made in heaven! I will definitely have the kids make this cake! Mr. N will love it. 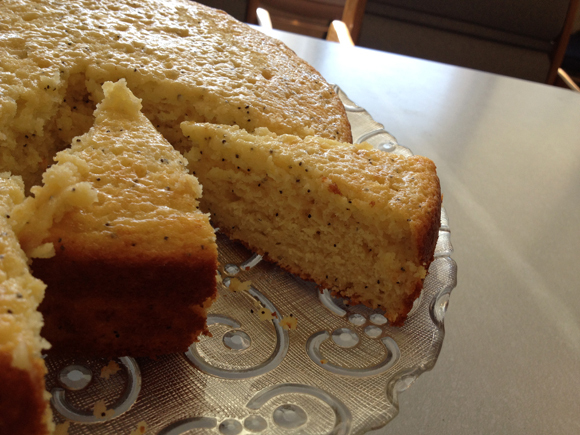 In our old hometown we frequented a coffee shop on weekend mornings and he always ordered the lemon poppy seed cake. He will be very excited about this one. And like you, I love that it’s an easy cake recipe. Phew! I love french style cakes. So simple, so elegant, so delicious. I love how you added poppyseeds to this version. Just beautiful, my friend! Everything about your cake sounds perfect, I’m glad you added it to your blog. Thanks, Karen… I had a bit of a shock when I noticed it was not here…. amazing! OK, just tell me what I need to do to get an invite to your table! Omg….just stumbled across your blog via Cottage Grove. I hail from Manhattan, KS and am a K-State Alum. What were the chances of this today?! Never mind your cake looks absolutely lovely. I have two children attending K-State, my oldest working on his grad degree at Emporia. Manhattan is such a super town; I hope you are loving it and meeting wonderful people. We are enjoying it very very much! Great town, great people, great university – cannot complain about anything. Ok, about one thing: parking situation at work. Pathetic. I say phooey to the cake-o-phobes, give me a slice of this beauty! 🙂 I can bake a full cake for you! This is totally my kind of cake. I love anything with lemons, and love poppy seeds. Pinning right now, Sally! !